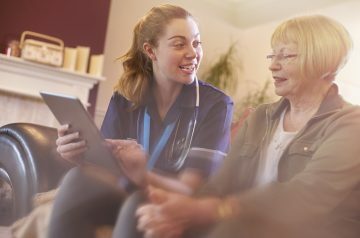 The NHS and local councils have come together in 44 areas across England to develop proposals to improve health and care. They have formed new partnerships – known as sustainability and transformation partnerships – to plan jointly for the next few years. In Sussex and East Surrey, our STP has 24 partners all working together to meet the changing needs of all the people who live in our area. We want to offer better health, better care and to ensure we make the most efficient use of our resources. The Sussex and East Surrey Sustainability and Transformation Partnership (STP) have agreed new leadership arrangements to help continue the progress that has been made to commission and provide health and care services in more joined-up and integrated way. Bob Alexander has agreed to be Independent Chair of the STP and Adam Doyle is the new Senior Responsible Officer for the STP, which he will combine with his role as Chief Executive for the Sussex and East Surrey Clinical Commissioning Groups (CCG). In order to deliver our aspirations for improved health and care and to make the best use of our resources, we are working together, and with other partners, to coordinate our approach through a number of priority workstreams. Finding new ways for the NHS, local authorities and voluntary sector to work together to improve services and outcomes for people who experience mental ill health. To deliver our ambitions for better quality, more joined up care, our healthcare professionals need first class IT and information management systems. 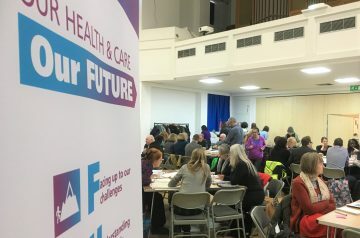 We are engaging with our people across the STP to help shape plans for "Our Health and Care...Our Future".